Dog Registries: whos who & who's not! 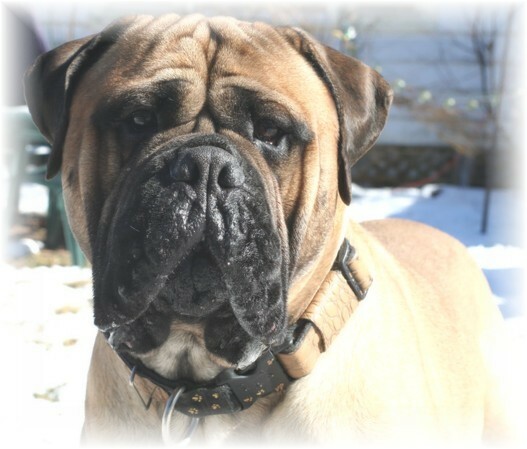 Note: Aristocrat Bullmastiffs & French Bulldogs registeres their dogs & puppies only through AKC , We also participate voluntarily in the DNA parentage program and have done so for decades! Since it is VERY possible for one litter of puppies to have different fathers it is very important to make sure you are ACTUALLY getting the purebred puppy you pay for that the sire of the puppy has been DNA profiled and certified through AKC, The AKC will send a certificate & a DNA profile number and you'd be well within your right before buying a puppy to ask to see the sire's DNA profile! There are many registries for dogs, and it can get pretty confusing. Puppy buyers often think they're getting something special when they're not, and they can pay a high price for it. Some registries seem to be out for a fast buck from ignorant puppy buyers and breeders. They will register dogs for breeders who have been suspended from other registries (usually for record keeping violations), or will register dogs that other registries won't (mixed breeds, unknown pedigree). Some registries will allow the registration of mixed breeds, sometimes called "new rare breeds", for breeding purposes. Puppy buyers are sometimes fooled into paying pay hundreds of dollars for a "registered" mutt. Being a registered mutt does not make a dog any different from a similar one sitting in a shelter, and it certainly doesnt turn a mixed breed into a purebred. If you want a mixed breed dog please visit your shelter first! If your dog is registered with anything other than AKC, United Kennel Club or the Canadian Kennel Club, the chances of your pup being bred by an irresponsible breeder rises dramatically. The oldest and most recognized purebred dog registries in North America are AKC (American Kennel Club) CKC (Canadian Kennel Club) and UKC (United Kennel Club). In addition, some breed clubs also have their own registries, such as Australian Sheppard (ASCA). Some breeds are not recognized by the American Kennel Club. You should research the registries for these breeds and be sure that the litter is properly certified as purebred. For example, some breeds in the United States are registered by the United Kennel Club. The UKC is a well-respected registry for many rare breeds as well as those recognized by the AKC. If you are shopping for a breed not recognized by the AKC, do your homework and find out which breed registries are commonly used by respected breeders. The American Kennel Clubs Mission Statement:  Maintain a registry for purebred dogs and preserve its integrity.  Sanction dog events that promote interest in, and sustain the process of, breeding for type and function of purebred dogs.  Take whatever actions necessary to protect and assure the continuation of the sport of purebred dogs.  The human/animal bond, which is perpetuated and supported by purpose-bred dogs for companionship, sport, work, service, etc., is valuable. Dogs bring joy and people who keep dogs as pets feel safer and live longer. All dogs are wonderful, but purpose bred or purebred dogs are more predictable in many important ways than random-bred dogs and therefore make better pets. Pet ownership is more widespread in the US today than in any other country of the world, at any time in history. More than 50% of all households have pets; 36% keep dogs, about a third of which are recognizable breeds.  Breeding for type and function to create, preserve and improve breeds ties modern urban populations with the 12,000 year tradition of animal husbandry, now vanishing from the rest of our culture. In the last 100 years, this country, along with the rest of the Western world, has undergone what many historians call the most dramatic transformation in human history. It is a shift from a rural, agricultural society to an urban technological one. When AKC was created, more than half of all Americans lived on farms. Even at the turn of the century, 85% of all jobs were agriculturally based. Today, less than one in fifty Americans lives on a farm but more than 50% of households maintains positive contact with animals by keeping pets. Very few people have hands-on experience in animal husbandry anymore-- and that make AKC's constituents unique subject matter experts in an area that touches and matters to half of all households. AKC breeders are the experts, the preservationist, the ones who tie society to its past and support society's present need to maintain the human/animal bond.  Records the parentage of over one million dogs annually, but is not itself involved in the sale of dogs and cannot therefore guarantee the health and quality of dogs in its registry.  Sponsors more than 15,000 dog competitions each year held by licensed and member clubs. Only dog clubs may be AKC members.  Supports and promotes the sport of purebred dogs. The Canadian Kennel Club is incorporated under the animal pedigree act to be responsible for the registration, preservation and promotion of all CKC recognized breeds of dogs in Canada. The Canadian Kennel Club is a National membership organization representing purebred dog activities. The board of directors of the Canadian Kennel Club is elected from the membership representing their regional zones and is responsible to that membership. Except as provided in the by-laws of the Canadian Kennel Club, all members are breeders of purebred dogs, will include in their programs only Canadian Kennel Club registered or registerable stock which will strengthen the gene pool and thus guarantee further progression toward the ideals of the standard keeping authentic records of their activities. There are many registries, organizations and 'networks' popping up all over the internet. A good rule of thumb when trying to evaluate the validity and integrity of any organization is to examine their purpose (i.e., mission/goals) and to also investigate their standards and practices, making sure that you VERIFY the information they present. A breeder whose puppies are registered with any of the following "alternative" registries is not a breeder you want to deal with. Most of these registries were begun in response to the AKCs Frequently Used Sires Requirement and inspections of large kennels producing more than 7 litters in a year for AKC and 10 litters for UKC. This requirement has resulted in the litters of many puppy mills and backyard breeders being turned down by AKC because the breeders refused to positively identify the father of the litter through a DNA test. Many others are boycotting AKC because complying with this requirement costs money. A responsible breeder with a male who is used often enough to fall under this requirement, will not object to having their dog DNA certified and paying the fee. Dogs not registered with AKC cannot compete in AKC dog shows in conformation. They may compete in performance events if spayed or neutered and issued an AKC ILP number. Since DNA became available for identifying the lineage of dogs, AKC has begun to do random DNA testing when inspecting kennels. In Missouri, where 1/3 of the country's puppies are produced, DNA testing and AKC inspections are resulting in an alarming number of suspensions. In July of 2000, AKC began a mandatory DNA requirement on all frequently used sires (male dogs producing more than 3 litters in a year or 7 litters in a lifetime). This sent the commercial breeders into a frenzy and many decided to boycott AKC. Of course, they are still going to sell 'registered puppies', so what are they left with? Here are some of the alternative registries, with whom anyone at all can register a dog regardless of its parentage as long as you pay the fee. Many *register* mixed breeds and require no proof of parentage and are promoters of the commercial breeder and puppy reseller (broker to pet stores). Please note that some of the registries have similar or the same initials as the older and well established registries. This can cause confusion for consumers, which of course is the idea-Don't be fooled!!! UABR - United All Breed Registry Advertises free registration of adults when you register a litter. They cater to the commercial breeders. Started "Gold Label Pets" for commercial operations, and promotes retailers. NKC  National Kennel Club Appears to registered unknown pedigree dogs with *inspection*. Finally, USDA registered puppies come from commercial breeding farms, commonly referred to as puppy mills. Mills sell to stores and brokers, and this is commonly where pet store owners get their puppies. No breeder associated with a breed club and bound by a breeders club Code of Ethics will sell or consign a pup (or kitten) to a commercial pet store.